It is winter. Even though Los Angeles doesn’t have much in the way of a winter season, it is still winter. In college, I can remember spending an hour or so in Tower Records on Broadway in New York City looking at album covers. Strolling around looking at this section of the store and that section of the store often introduced me to brand new music. I spent time in the store. I can now purchase a song as soon as I hear it as an MP3. Don’t get me wrong! I, too, like this. I like to have a book recommended to me knowing that I can purchase it on my computer and read it a second later. For some things in life an instant download just isn’t possible. Take for example someone who has a serious creative block or is experiencing a major life transition- these things cannot be rushed. Winter can be long. Someone close to me has been in a career transition for several years. They are in a later stage of life and what provided them with passion 20 years ago no longer holds any meaning for them. This person has expressed to me the desire to have their situation change, but nature herself seems to taking her own sweet time in terms of “hatching out of the egg” with a new creative idea. If we live in a world with quick sound bites and flashing visuals that are constantly in motion and changing- our brains are becoming accustomed to this pace. Nature does not work this way. Even in the deep, transformational healing work that occurs with Energy Medicine- only the issues that are ready to be healed will reveal themselves. We have a whole life that is full of interesting twists and unpredictable turns. Our problems and suffering not only hold very important meaning for us but they also provide the necessary fuel for us to continue to grow and develop. It is said in Buddhism that the “God Realm” is a realm in which there really is no suffering. Everything is perfect. It would be like staying at your favorite beach resort-indefinitely. At some point, though, it is said, things begin to rot and smell bad. It is even said that after being in the God Realm we fall or migrate into the Jealous God Realm. In this realm we begin to compare ourselves to the Jones family down the street who seem to have really figured out how to enjoy the God Realm. Sometimes we buy into believing that staying in any realm indefinitely is a possibility. Our mind migrates and moves from one realm to the other. This migration and dissatisfaction is what we call samsara. Which realms are we “supposed” to inhabit? In the Human Realm we have the capacity to develop compassion for other sentient beings. Why? Because we are not only aware of our own suffering but we also work to alleviate it. This is our path. It is ongoing and it is human. It is hard to think of the suffering of others if the cabana boy is always bringing you clean white fluffy towels and a cocktail on a bamboo tray. This takes me back to my original subject of incubation. Sometimes things just need more time, more compassion and more willingness to wait for nature to do her thing in our lives. When a Mama chicken sits on her egg- she sits. She doesn’t pace, pull her hair out or demand that the egg hatch right NOW! She waits. Although some things no longer require waiting such as music, books and other objects- our deepest desires, transformations and healing take time- a lifetime. If we look to nature as our guide we can’t go wrong. Even though a pregnant woman will not see her child for 9 month, she still imagines, hopes, dreams AND experiences pain. During those 9 months she changes A LOT, but the “product” is not visible until it is ready to be born. This is natures wisdom. We can remember to trust this- especially when we are feeling impatient for the change to come. Change is our constant companion. What is produced out of this change is often beyond our control. Not needing to have control is an act of humility in the best sense. 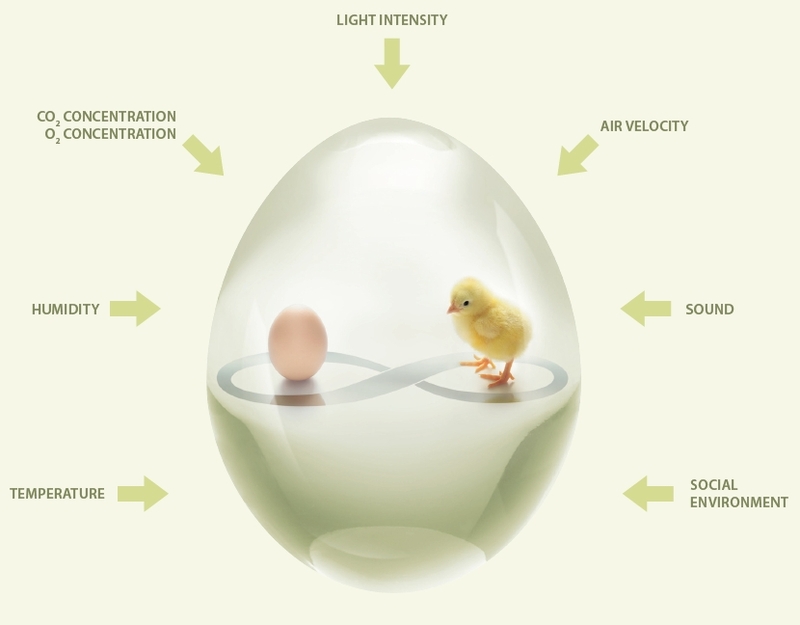 Incubation is a courageous act of waiting and being curious.